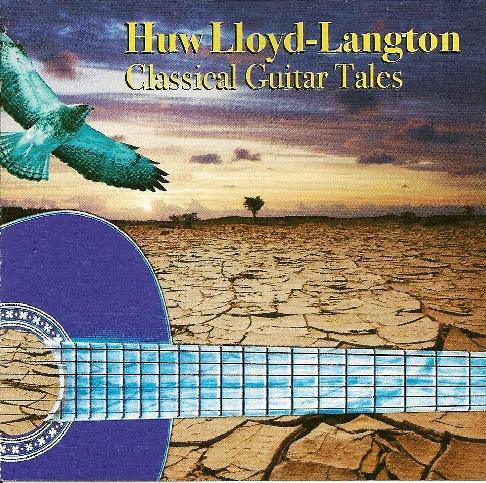 Huw Lloyd-Langton - "Classical Guitar Tales"
Huw Lloyd Langton isn't slowing down for a minute. Last year's Hard Graft album (reviewed in AI #41 and made my Best of 2010 list) was an outstanding set of rock music, song-craft and guitar wizardry that included three solo Blues guitar tracks as a bonus. Huw also has an interest in Classical music and his aptitude for interpreting the style is showcased on his latest album, appropriately titled Classical Guitar Tales. There's no flash here. Just beautifully executed interpretations of works by Dvorak, Brahms, Bach, Schubert, and other composers. There's also a lovely Huw composed piece called Elegy. And for Hawkwind fans there's 5th Second Of Forever, which is the acoustic guitar portion of the same song from the Levitation album. The sound quality of the recording is excellent and I felt like I was sitting in a small performance space watching Huw alone on the stage. The album consists of 18 tracks in about 30 minutes, which is probably sufficient length for a solo classical guitar album. The musicians I admire most are those multi-faceted artists like Huw that seem to be adept at just about anything, and I love hearing them indulge all their passions. Between the rock and Blues of Hard Graft and the Classical display of this new album, in one short year Huw has covered a lot of impressive ground. Keep it up Huw. You just keep getting better.